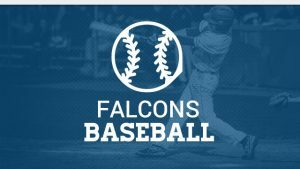 The Falcon baseball team faced state ranked Detroit Country Day this past week and came away with a big 8-5 victory. Rochester put up four runs in the fifth inning. The big inning was thanks to walks by Bobby Kronner and Noah Stout and singles by David Wenrich and Ben Zuckerburg. Devin Murray was the winning pitcher for the Falcons. He went six innings, allowing three runs on two hits and striking out five. Nick Stepke threw one inning in relief out of the bullpen. Rochester racked up ten hits on the day. David Wenrich and Scott Rusell each managed two hits to lead Rochester.